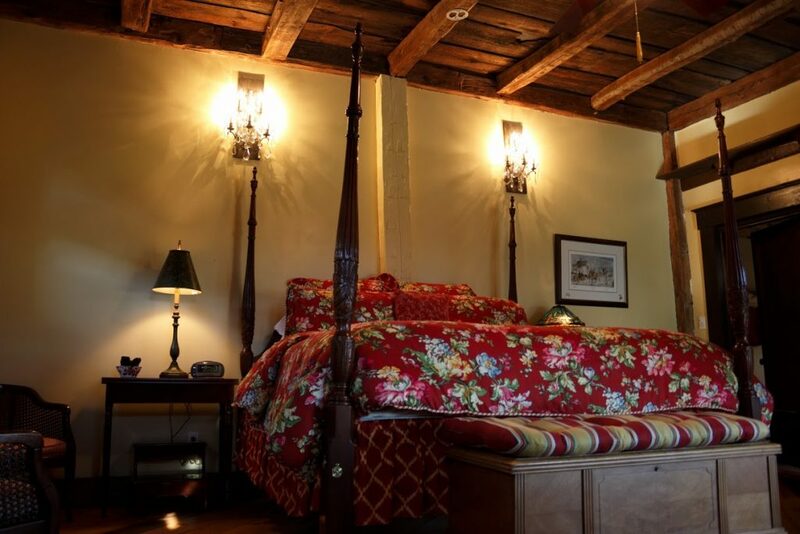 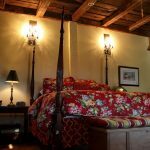 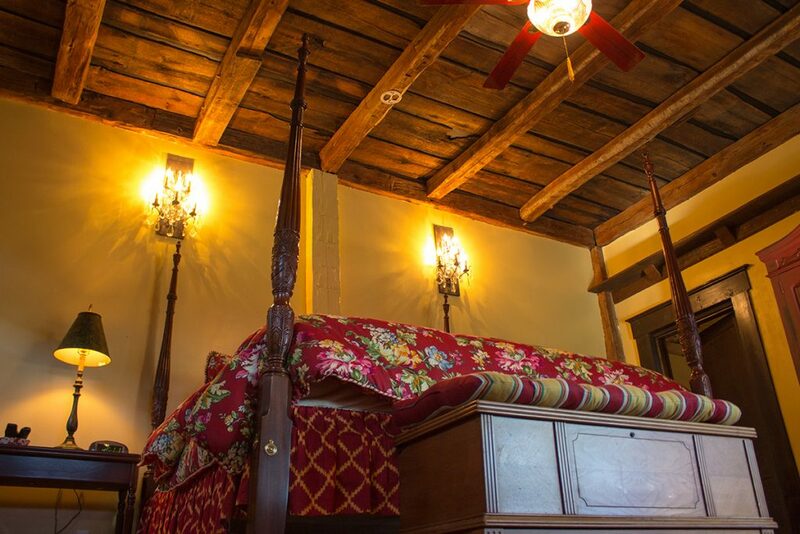 Surround yourself in the warmth and uniqueness of exposed antique beams in our most impressive enchanted cottage. 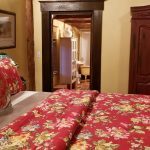 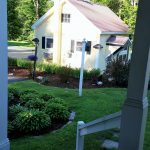 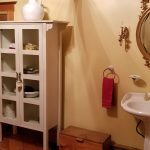 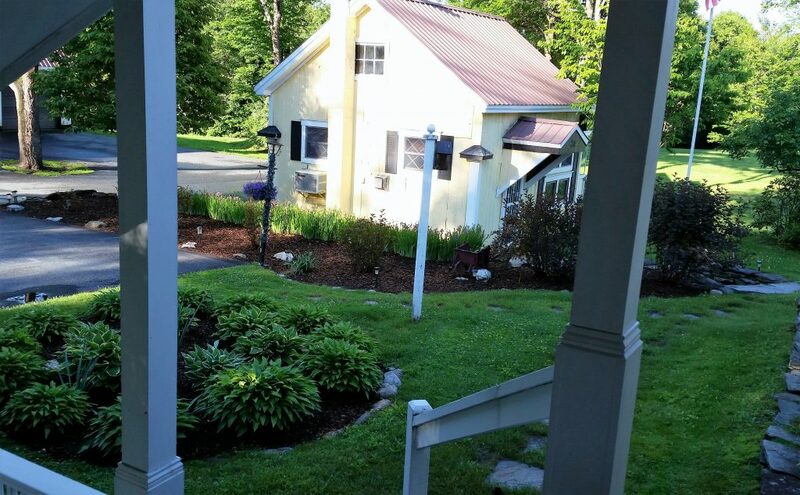 Located just a few steps away from the inn, you will savor ultimate privacy in this bit of country paradise. 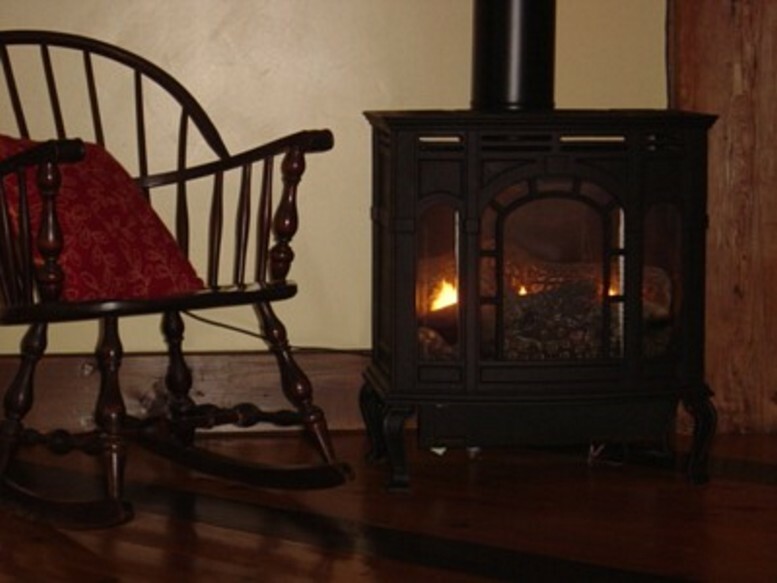 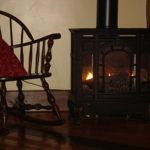 The propane wood stove adds ambiance and warmth on chilly nights and the cottage is well-insulated and air-conditioned in summer. 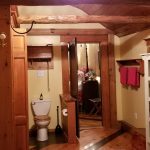 The bathroom is quite spacious and quite distinctive, especially the ceiling. 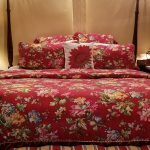 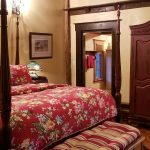 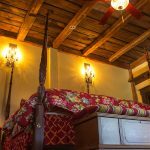 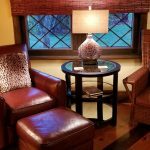 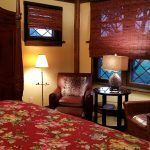 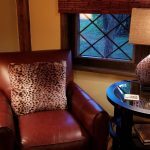 Climb up onto the tall, king size four-poster bed, curl up in a comfortable chair with your favorite book and beverage, add some melodic music or soak in a claw foot tub and gaze at the beautiful views.